Are you with registered with us yet? 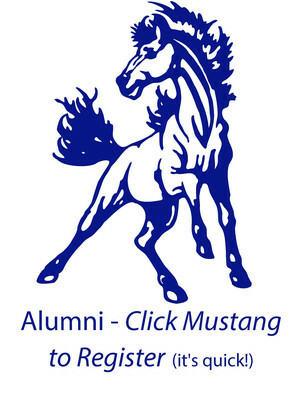 Click the Mustang to the left for a short form to register. If you aren't sure if you may have already registered, please do complete the form. Thank you. If you register before midnight on November 30, you will be eligible to win a $40.00 gift card to the Main Event in Little Chute. Congratulations to Alan Sanderfoot, (class of 2002) who won for registering during Homecoming week. A popular third-party social networking site for alumni.